Sensual and captivating the Marcella White Pearl Earrings are as expressive as they are tempting. 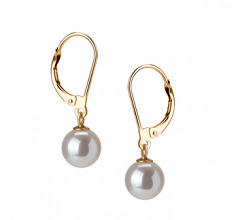 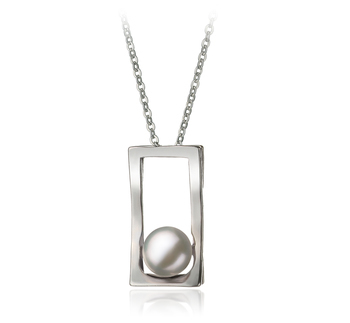 The 7-8mm sized delicate white pearls are the seamless look for the hanging design. 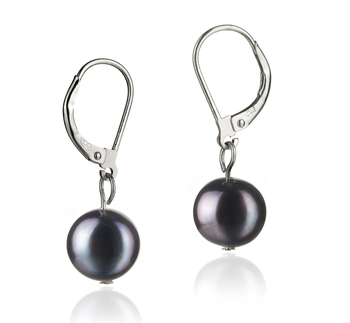 With an (AAAA) impeccable shape, the Quality Freshwater Pearl Earrings are an all-round and all perfect part of your desired look. 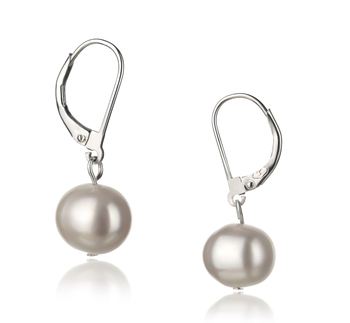 The (AAAA) natural mirrored like luster dances effortlessly across the gleaming surface of each pearl. 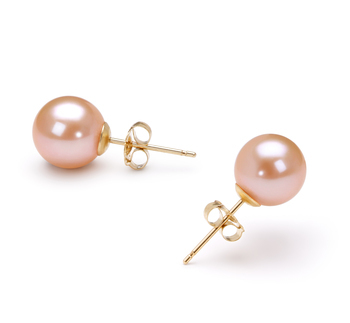 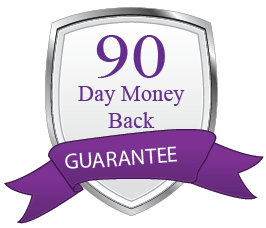 In a rare occurrence, the body and overall grade for this fantastic earring set far outweighs the true generosity of your willing spirit. 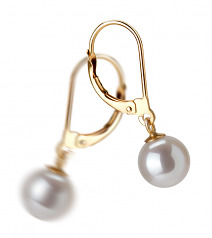 The easy design of these 14K gold clasps allow the snap to stay in the open position until you snap it closed. 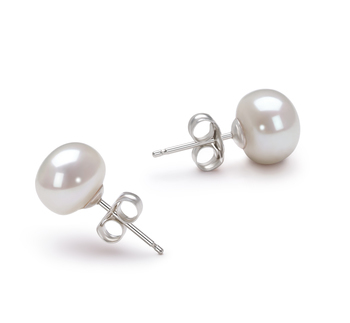 Both trendy and fashionable, this style of the freshwater pearl Earrings set leaves the White Pearl waiting effortlessly in mid-air, creating an alluring look for any formal attire. 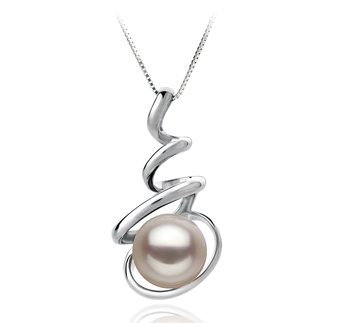 The perfect white pearl is set into 14K gold creating the ultimate in the Black Label Collection.